Welcome to Wow! I hope y'all had a nice Labor Day weekend which marks the unofficial last weekend of summer. Now it will be onto celebrating fall. I have started adding some fall touches around my home and will start sharing it soon. Let's look at some features from last week while we dream about fall and the holidays ahead. 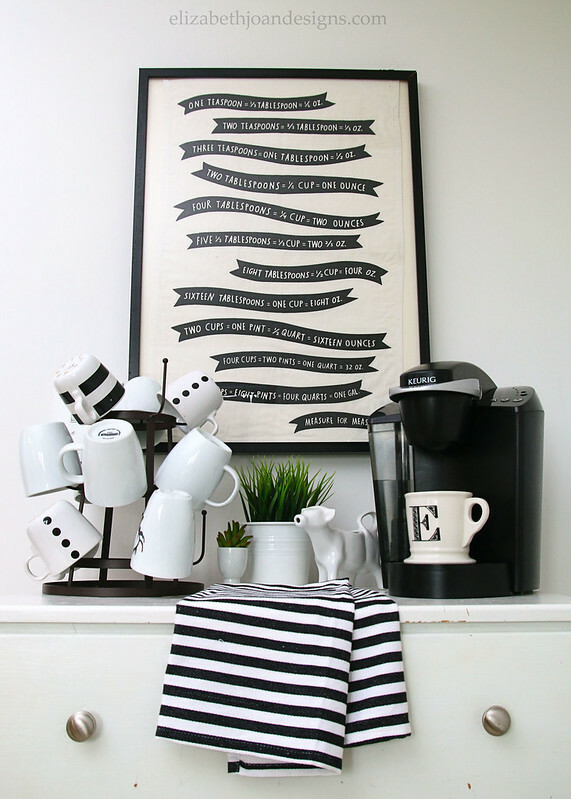 I think most of us love to start our day with a cup of coffee and Elizabeth Joan Designs shared her dresser turned coffee station and I love the cute art idea. A pretty centerpiece in a copper container by Sweet Sensations. 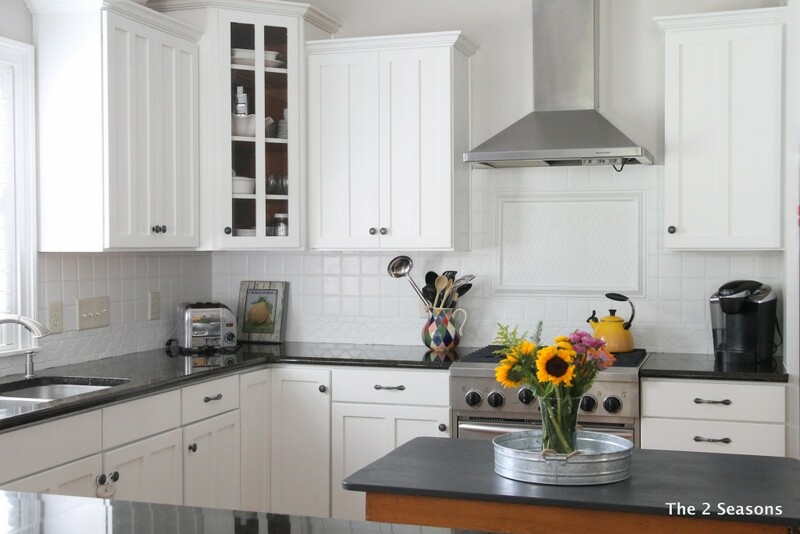 If you can't replace your tile back splash why not transform it with paint like Jordan did. 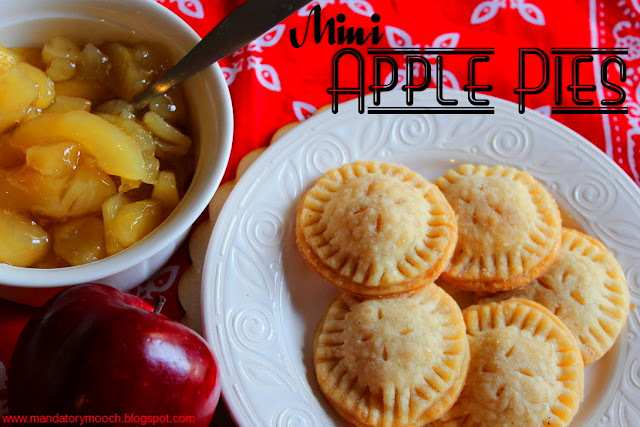 It's apple season and here is a recipe for mini apple pies by The Mandatory Mooch. I am sad that summer is over but I am suddenly excited about decorating for fall! Thanks for hosting! Excited to see all the Fall inspiration! thanks for hosting Kim! Thanks for hosting, Kim! I noticed a few bits of fall color in the tree tops today! Yaay! Hurry up fall! Great features!...Always such great ideas and inspiration here at the party!...thanks for hosting and have a great week! So happy to see Fall just around the corner! Thanks for hosting, Kim! Thank you so much for featuring my kitchen. Paint always does wonders for a room. Have a wonderful September. Great features, Kim. Thanks for hosting. Thanks for hosting Kim! I'm beyond ready for fall! Thank you Kim, always fun to come see what is going on here! Thanks so much for hosting, Kim. Hope you have a great week. Where did the summer go?! Love the feel of fall, but not ready just yet! LOL - Thanks for hosting! Thanks so much for hosting! :) Happy Wednesday! WOW is right, Kim!! What a beautiful party!! So much Inspiration and such beautiful Features. Thank you so much for hosting. It's been a long time for me, so super excited to be linking up with you once again. Wishing you a wonderful week. Thank you for featuring my Copper Container Centerpiece and I hope you had a fantastic holiday. Thank you so much for the weekly party! Thanks for the party Kim. It was fun to join in. Thank you Kim for hosting! Stopping by to share a fun fall wreath tutorial and pumpkin DIY!